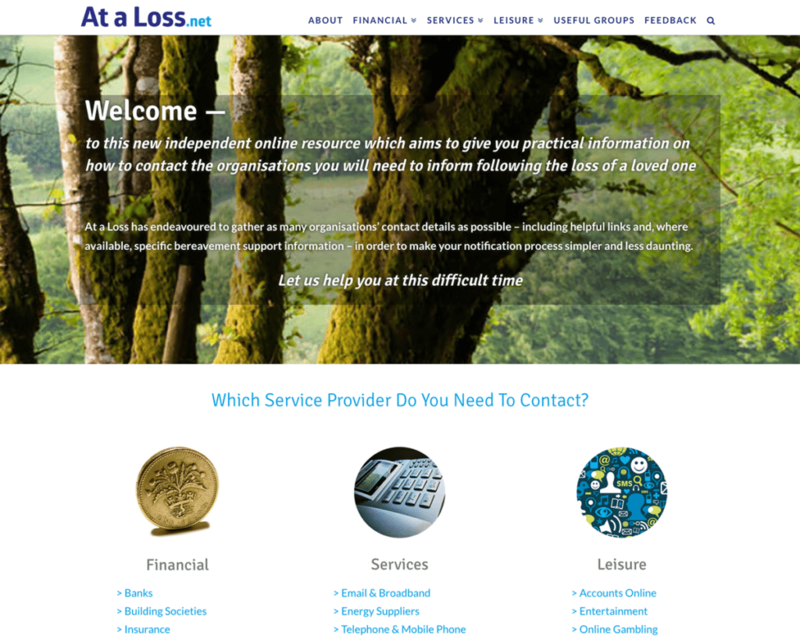 At A Loss is an information company set-up by Charlton Horethorne resident Sue Gudgeon. 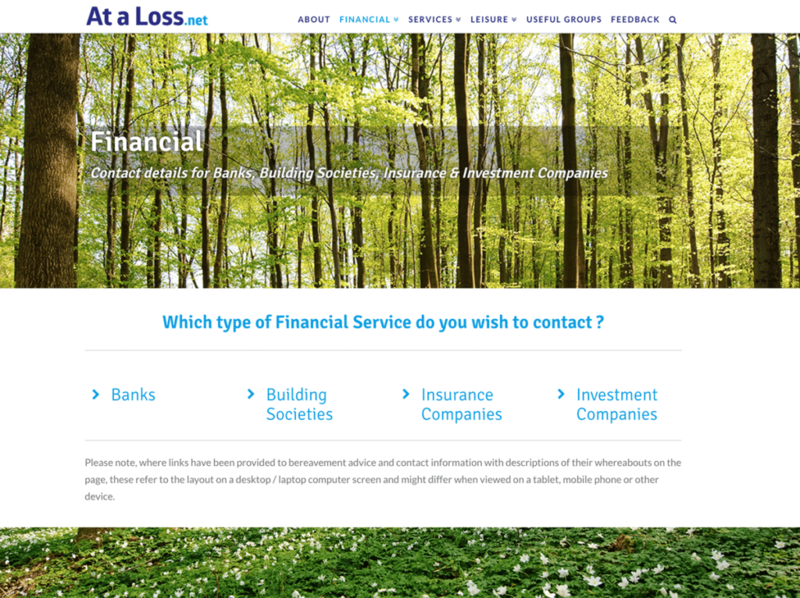 The idea for the website arose out of Sue’s personal experience of dealing with companies in respect of the personal information and user account of a person who is recently deceased. 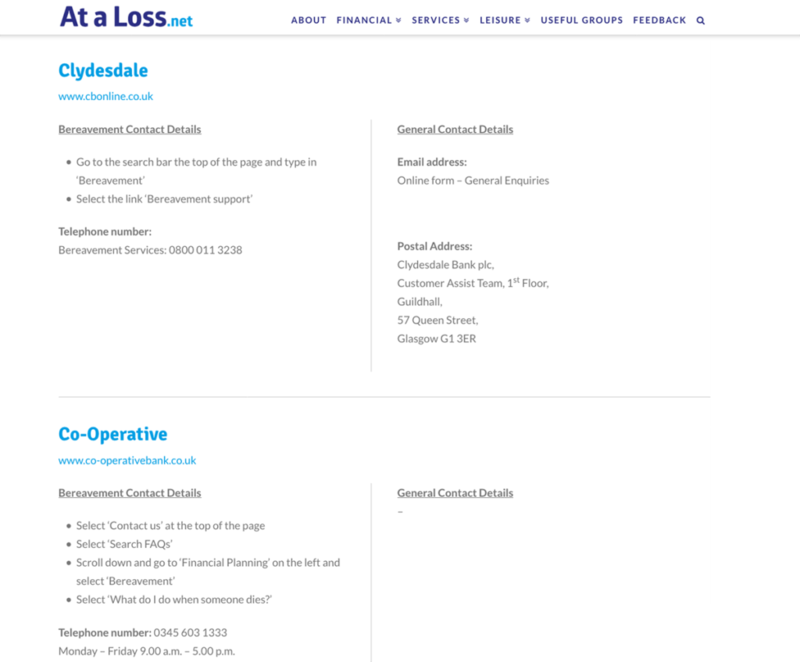 Digiwool was tasked to create a website design that made contact details for large companies easily accessible and in one place. It needed to intuitive, spacious, and super-simple to use. I also designed a logo and wordmark to consolidate the brand. 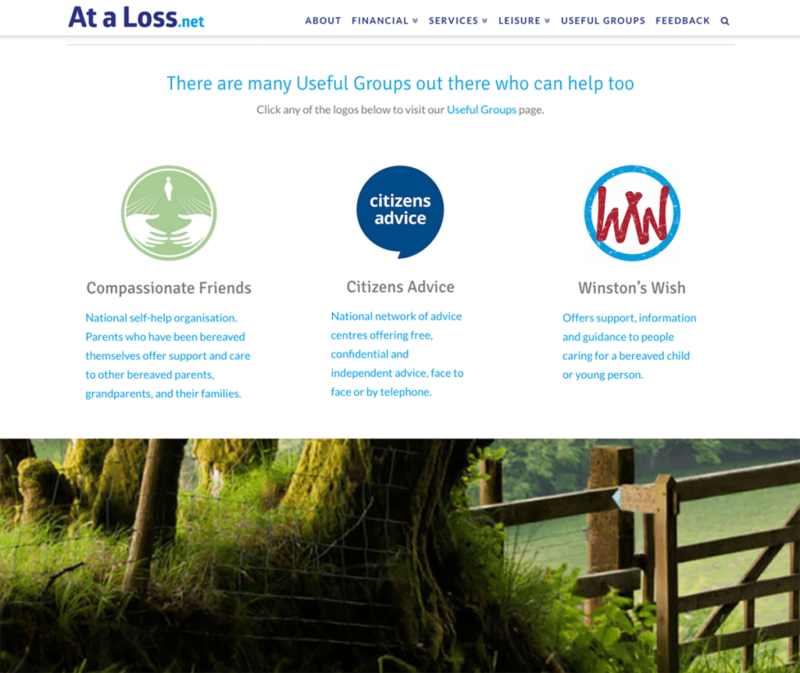 Ataloss.net is a source of information for people who are enduring an upsetting and stressful period having been recently bereaved. Nowadays, we all have multiple accounts with service providers such as gas, electricity, telephone, social media platforms, retailers, associations, insurance companies, Inland Revenue — the list is endless. 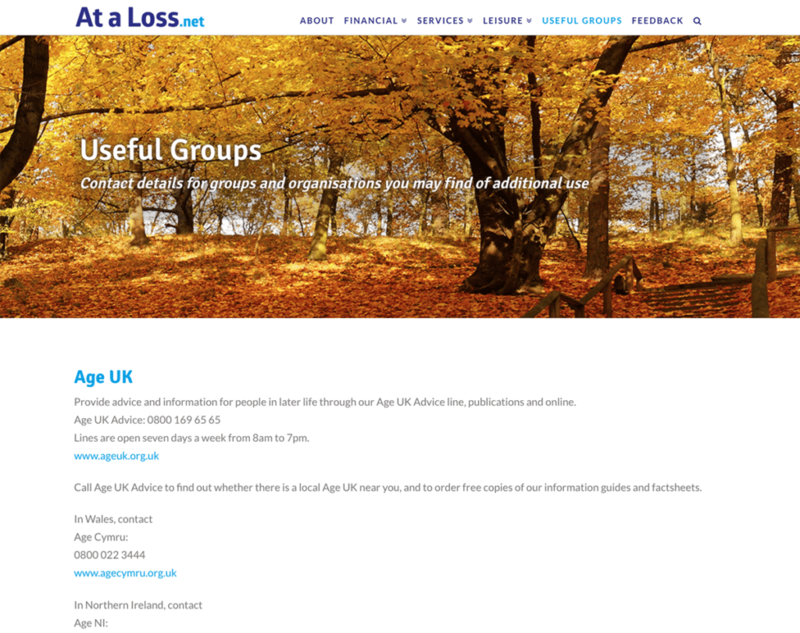 Many of these organisations don’t make their bereavement contact details immediately available and so sourcing them can be difficult and only adds to the stress of the situation. Digiwool created the website to make it as easy and as user-friendly as possible. The information is simple to access and presented in a spacious, logically laid out manner to aid quick access to the information visitors require. I also designed a logo and wordmark to help cement the brand in the user’s mind so they remember the name, and know where to go when they need At A Loss’s services.